Alia Bhatt Begins Shooting for Badrinath Ki Dulhania! When those cryptic tweets started between the Badlapur and Highway stars, Varun Dhawan and Alia Bhatt, fans were prepared that some good news is in the tow for sure. And soon we got to know that the enigmatic duo is all set to reunite for the sequel of their earlier romantic comedy Humpty Sharma Ki Dulhaniya. 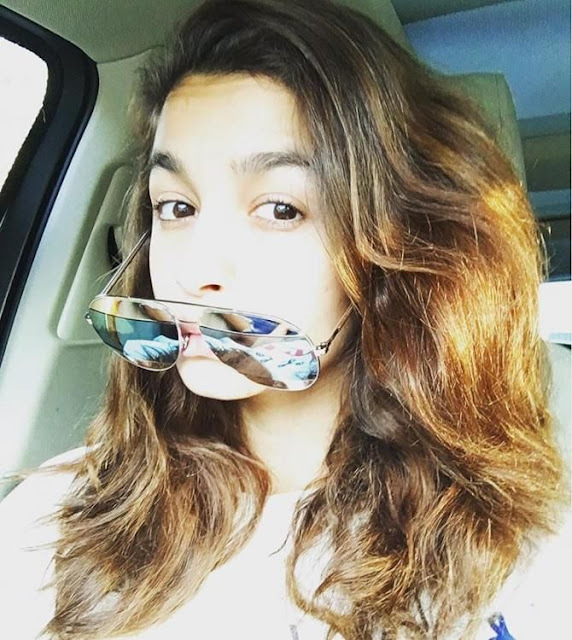 Alia recently took to Instagram to tell her fans about her starting the shoot for Badrinath Ki Dulhaniya. The actress has wrapped the shoot up for Gauri Sinde’s untitled next. Reportedly, the film is set against the rural backdrop up North and is the first ever love franchise, produced by Dharma productions.The film is helmed by Shashank Khaitan, who directed the first part as well. Varun and Alia will wrap up the shooting of the film in one go. The film is slated to release on March 10, 2017. Kim Kardashian never shy when it comes to taking the perfect selfie, Is paint the new sheer trend?